If your kitchen is overflowing with garden-fresh zucchini squash, put some of it to good use in a succulent broiled zucchini dish. Ready to eat in 20 minutes, broiled zucchini is a flavorful side dish to accompany a hearty main dish. 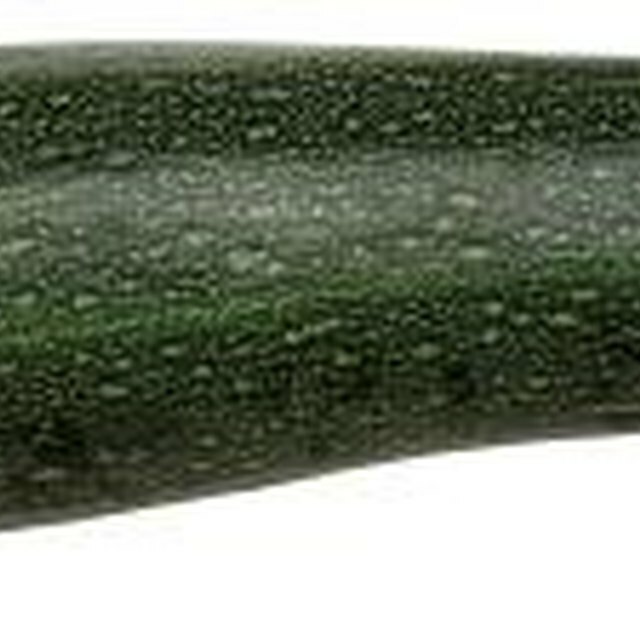 For the best flavor, choose young, tender zucchini measuring 6 to 8 inches, since larger squash becomes tough and less flavorful. Handle zucchini with care, since the thin skin bruises easily. Rinse the zucchini under cool water, and then pat them dry with a paper towel. Cut each zucchini in half crosswise, using a chef's knife. Cut each half into five or six long wedges. Place the zucchini wedges in a large mixing bowl. Add coarsely chopped garlic cloves, sea salt, freshly ground black pepper, olive oil and cayenne pepper. Using a spatula, stir to coat the zucchini evenly with oil and seasonings. Preheat your oven's broiler unit. Spread the zucchini mixture in a baking pan or oven-proof skillet. Place the zucchini 4 to 5 inches under the broiler. Broil the zucchini until the pieces are golden brown -- about 15 minutes. Stir the zucchini every four to five minutes to prevent scorching. 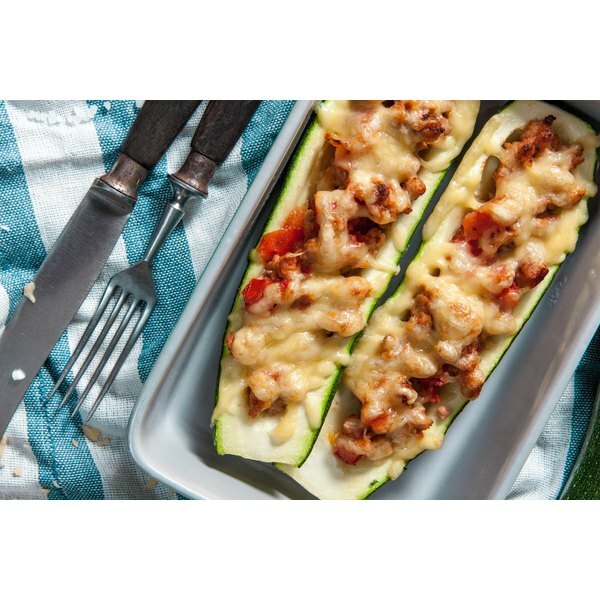 Sprinkle grated Parmesan cheese over the zucchini during the last minute of cooking time. Remove the zucchini from the oven and serve the dish hot. Add a tangy flavor to broiled zucchini by adding about 1/4 cup of balsamic vinegar. Drizzle the vinegar when the squash is soft -- about two minutes before adding the grated Parmesan cheese. To add crunch, sprinkle chopped almonds, walnuts, pecans or pine nuts over the top of the finished dish just before serving. If you like the flavor of thyme, add three to four sprigs of fresh thyme along with the other seasonings. Remove the sprigs before you serve the squash.